Yves Rocher is a company that’s been in my peripheral vision for a long time. It’s the number one skin care brand in France, and that’s where I’ve seen it on sale when I’ve been on holiday, so I’ve not really been in the market for skin care purchases. As a result of that, I’ve never tried any of their range until now, as they are expanding into the UK market and so can be bought by mail order. The first of their products I’ve been using is the Derma Smoothing Day Moisturiser for sensitive skin. I have skin that I’d consider to be sensitive. I am allergic to a few things and my skin often flares up for no discernible reason, so I tend to look for products that are designed to deal with that. 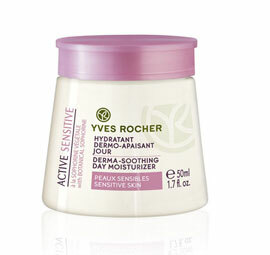 This moisturiser comes well packaged in a nicely designed tub with a pink lid. It has a fairly thick gel-cream texture and is unscented. This is to remove any irritants that people may find in perfumes, and leaves it with a pleasant enough, fairly neutral smell. I liked this cream. It does exactly what it sets out to do, offer good long-lasting moisture without irritating my skin. I’ve been using it regularly, and applying liberally, for a couple of weeks and there is still plenty left in the 50ml sized jar, so I think it offers really good value too. It doesn’t have an SPF, so you’d need to add one of those on top, and luckily Yves Rocher do a range of sun protection too! The second product I have been using is their Precious Night Oil, which is part of the organic range. I love facial oils for my skin. As I get older, my skin has got drier and wrinklier (how lovely) and this oil, used in the evening after thoroughly cleansing, feels really nourishing. I loved the smell from the sweet orange oil it contains. 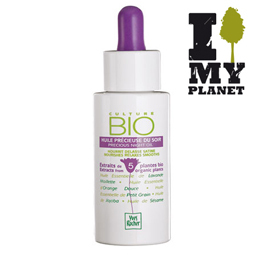 This product contains extracts from five different plants; lavender, jojoba, petitgrain, sesame, and sweet orange. Again the product is nicely packaged, in recycled cardboard and feels like a good quality product. I have been using this for a couple of weeks each evening and my skin does feel as though it’s less dry. It’s a pleasure to use and again, it feels like really good value, considering how little is needed each time.